Friends of Sacred Structures has been dedicated to assisting historic churches, mosques and synagogues in Kansas City since 1992. Following the closing of several of Kansas City’s historic churches in 1990, a group of concerned citizens met at City Hall to determine if they could help churches remain open and continue assisting the neighborhoods they served. Several individuals from the meeting established a committee and began meeting regularly with members of the historic preservation community under the name of Friends of Sacred Structures (FOSS). Following the first meeting, the committee formed a mission statement and created an action plan to reach churches whose declining memberships and lack of revenues were source of concern to the community as well as the congregation. At the invitation of Fr. Bruce Rathjen, pastor of St. Mary’s Episcopal, the committee was offered a meeting space which allowed them to engage more broadly with members of local judicatories. A similar organization, Inspired Spaces, was functioning in Chicago at the time, and the executive director was invited to Kansas City to share their story and and experiences with the Board of Directors. At the time, FOSS was operating under the umbrella of the Historic Kansas City Foundation (HKCF) and had an office within their office in the River Market. In addition to Inspired Spaces and the Historic Kansas City Foundation, FOSS developed relationships with Partners of Sacred Places in Philadelphia, and The Steeples Project in Boston. Built by descendants of slaves, and planned to be demolished by a developer, the White Oak Chapel became FOSS's first project. After meeting with both the developer and the City of Kansas City, MO, HKCF was granted funds to move the historic church to Stroud’s Oak Manor restaurant. Local businesses and construction companies assisted with the repairs following the move. A celebration of the reopening of the small chapel was attended by over 100 people; among them, the descendants of the slaves who had built the original church. 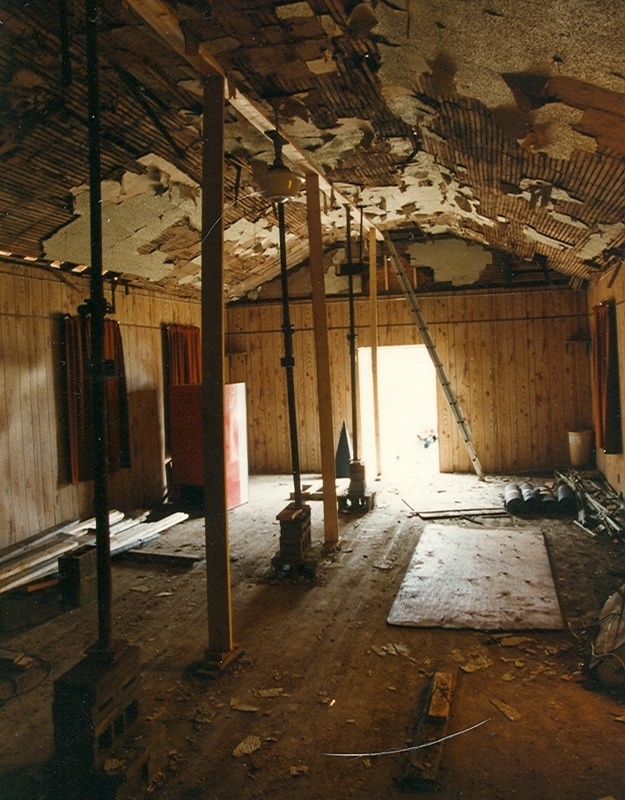 In 1993 FOSS received non-profit status from the State of Missouri and became an independent preservation organization; however, the the association with HKCF remained and FOSS continued operating out of their office. At that time, FOSS was working with Christ Temple Pentacostal church to determine how to stop the water damage to the mosaic domes of the former synagogue. Members of the FOSS Board of directors contacted member of Beth Shalom, the Jewish congregation which constructed the building , and with their help raised funds to repair the roof, the damaged mosaic domes, and the interior lobby. The breadth of the project, and the technical nature of the repairs, led to the creation of the Technical Assistance Team at FOSS. The team is a group of professional contractors, architects, and engineers who evaluate structures and develop renovation and preservation plans. In the 26 year history of the organization, FOSS has provided support, funds, and expertise to over 170 religious structures in Kansas City. With your support, the rich history of this Kansas City institution will continue and many more sacred structures will be preserved.